WASHINGTON, April 2, 2019 /PRNewswire/ -- In the years since Island Press launched the Urban Resilience Project (URP), the need for information on how to build resilient, equitable cities has only become more urgent. The latest UN climate reports show that we have little time to avert the worst impacts of climate change, even as our communities must adapt to rising seas, monster storms, and devastating wildfires. And yet, even in these trying times, there are extraordinary people working to create a greener, fairer future. In 2018, URP collaborated with a diverse group of writers to share ideas of how to prepare for an uncertain tomorrow. 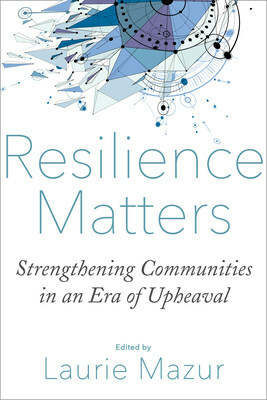 Those ideas—originally published as articles and op-eds in outlets like The New York Times, The Hill, and Colorlines—have been collected in a new e-book "Resilience Matters: Strengthening Communities in an Era of Upheaval," available for free online. The articles and op-eds in this e-book report on a variety of threats, from the vulnerability of our infrastructure to political efforts to undermine the public's right to clean drinking water. Importantly, they showcase solutions that are sustainable and equitable. From community groups that are growing local economies while reducing carbon emissions, to red-state cities that are taking the lead on climate action in the absence of federal leadership, these stories illuminate the path forward in tumultuous times. Organizations contributing to Resilience Matters include The Nature Conservancy, Environmental Protection Network, NACTO, Emerald Cities Collaborative, City Parks Alliance, Public Health Institute, River Network, Partnership for Southern Equity, and Second Nature. Founded in 1984, Island Press works to stimulate, shape, and communicate the information that is essential for solving environmental problems. Today, with more than 1,000 titles in print and some 30 new releases each year, it is the nation's leading publisher of books on environmental issues. For more information, visit www.islandpress.org. 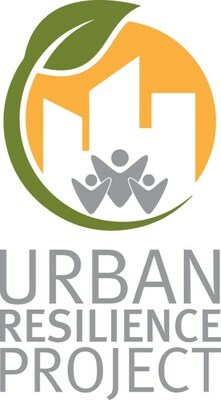 In 2013, Island Press launched the Urban Resilience Project (URP) with support from The Kresge Foundation and The JPB Foundation. The project brings together thought leaders from a broad range of expertise to generate and cross-pollinate ideas on urban resilience in the era of climate change. For more information and to find out how you can get involved, visit www.islandpress.org/URP. Download "Resilience Matters" for free by visiting islandpress.org/resilience-matters-download. Contact Kyler Geoffroy for more info kgeoffroy@islandpress.org, 202-232-7933 x63, @IP_URP.